Welcome to Lifestyle Homes of Valparaiso, Indiana. 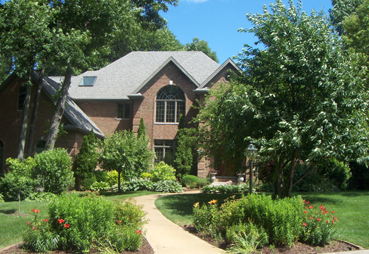 We design and build classic, one-of-a-kind custom luxury homes any where in Northwest Indiana. From Lake County to Porter County and beyond, your wishes and dreams can become reality with our expert team of professionals. We will guide you every step of the way from the blueprint phase to the completion of your beautiful new home. Our services include, but are not limited to, finding the right lot, plan design services, cost analysis, detailed interior and exterior product selection and experienced construction management. And as a Certified Green Builder, we will ensure that you will benefit from the latest energy saving technology. If you love your existing home but are longing for more space or custom features, we also specialize in remodeling. We can transform your existing home into whatever you want or imagine it to be. For over 25 years we have specialized in building dreams, and we can and will make your dreams come true. Jim Minard is the owner of this upscale company and has been the inspiration behind many wonderful projects. His dedication to his customers and his attention to detail are unparalleled, and have become a constant in this ever changing market. Our customer service is 2nd to none both during the design and build process and long after you have moved in. We are here to make sure you are completely satisfied and love your new home or remodeled space. We know that building a new home is an emotional experience. You can find peace of mind by knowing that the professionals of Lifestyle Homes are here to walk you through the process each and every step of the way. We strive to listen to both your current and future needs, and build a relationship of trust. Allow us to design and build your classic, one of a kind, luxury home, and to make your dreams become a reality!